German Talmudist; born in Lissa, Posen. 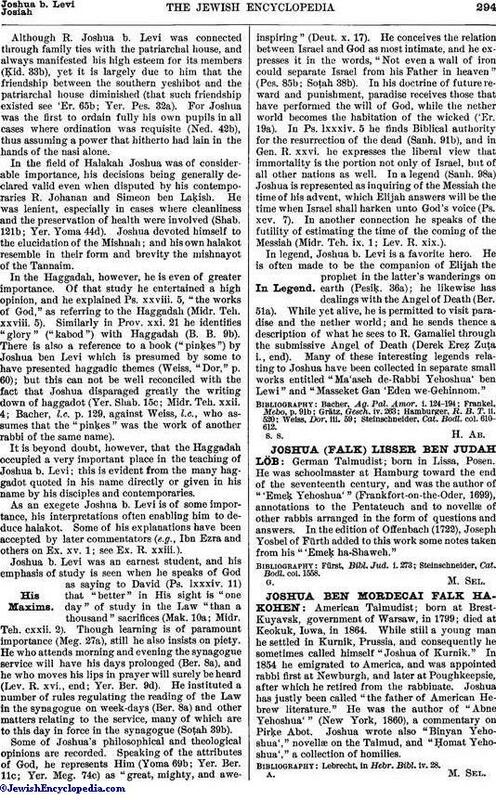 He was schoolmaster at Hamburg toward the end of the seventeenth century, and was the author of "'Emeḳ Yehoshua'" (Frankfort-on-the-Oder, 1699), annotations to the Pentateuch and to novellæ of other rabbis arranged in the form of questions and answers. In the edition of Offenbach (1722), Joseph Yosbel of Fürth added to this work some notes taken from his "Emeḳ ha-Shaweh." Steinschneider, Cat. Bodl. col. 1558.